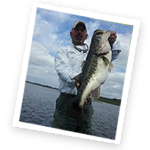 AM-PM Split-day (4 plus hours am - break - 4 plus hours pm) "Prime fishing times"
Half Days (1 or2 persons) at least 4 hours A.M. or P.M. 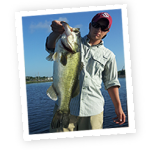 Experience Florida bass fishing at it's very best! 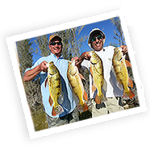 Test the waters of several different locations all in one trip. Fish Okeechobee one day, the Everglades the next and finish with catching hard fighting Peacock bass on day three.